Set amidst verdant gardens, mango orchards, marigold and jasmine fields, the Taj Nadesar Palace is a haven of peace and tranquility. The palace has hosted royalty, statesmen and celebrities since 1835. 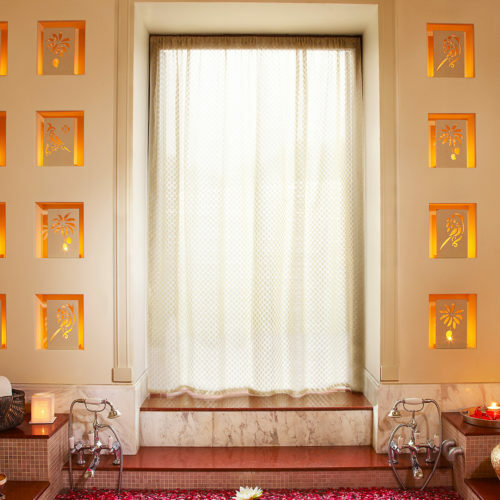 Works of art from the Maharaja's collection decorate the walls of the palace's 10 luxurious suites, each embellished with original pieces of furniture refurbished to recreate the atmosphere of a bygone era. 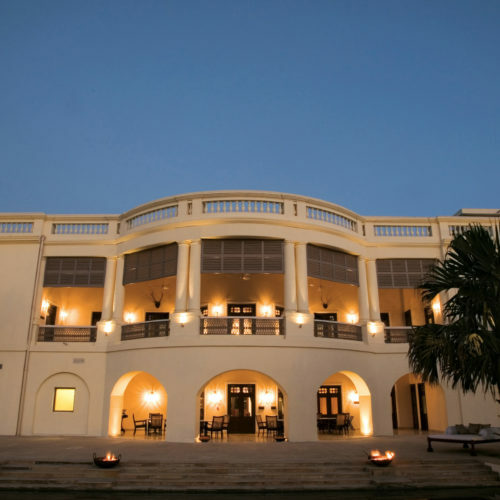 Dining at the Nadesar Palace is an indulgent experience starting with breakfast on the sun-kissed verandah; a spiritually inspired meal at lunch in the dining room, and a barbeque dinner by the poolside. 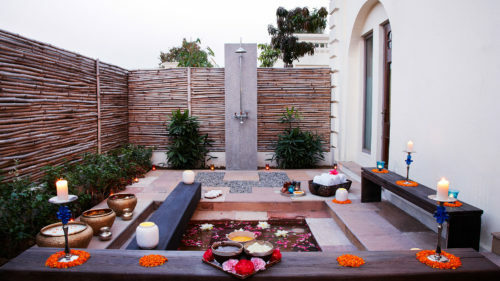 To unwind, the palace offers a round of golf on the greens, a guided nature walk or a day at the Jiva Spa. Being such incredible accomodation the Taj Nadesar Palace was featured in our list article covering 50 luxury things to do in India.